Working the open source way isn’t always easy. CEOs who strive daily to implement open source principles in their companies face some important — and difficult — questions: How can we bring people together to do great things? What motivates them? How can we coordinate them when they unite? How does working the open source way allow us to anticipate the future and adapt to thrive in it? And what counts as success? This collection features CEOs from some of today’s most intriguing companies. We call these leaders ’open-minded’ because of their intuitive sense that the open source way is the best way to do business. You’ll see what we mean. 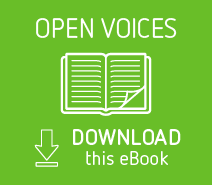 These authors are tireless champions of open source values in their organizations and their communities.